When we say the very best, that's exactly what we mean. Beautiful, thick, black lashes that will put even the best mascara to shame. Using a pharmaceutical grade adhesive and physician's formulated glue, Novalash eyelash extensions is the only system in accordance with FDA recommendations and it is the only product good enough for us. The process is simple. 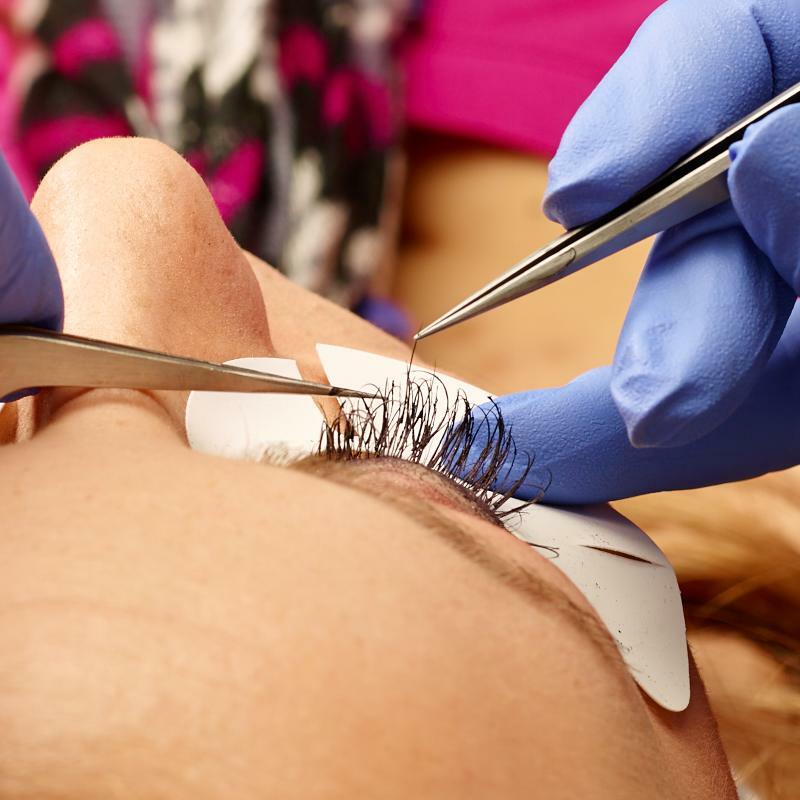 Each extension is applied individually to your natural lash, without any attachment to the eyelid. The lashes are synthetic, black in color and pre-curled so they look wonderful from the minute they're applied. Your lashes will continue to fall out like they normally would, but don't be alarmed when they start to look sparse. Just come in for a fill. Don't forget to try blue, green, purple or brown lashes to brighten up your eyes for any occasion. And for those special nights out, try candy lashes that have an extra sparkle. Mix and match any color glitter for that perfect look. Our Signature Lashes are also great for special occasions like weddings, proms, or even a night on the town. Timed at 30 minutes, 50 lashes are applied to each eye, and add a fun, flirty look with no continued maintenance required. 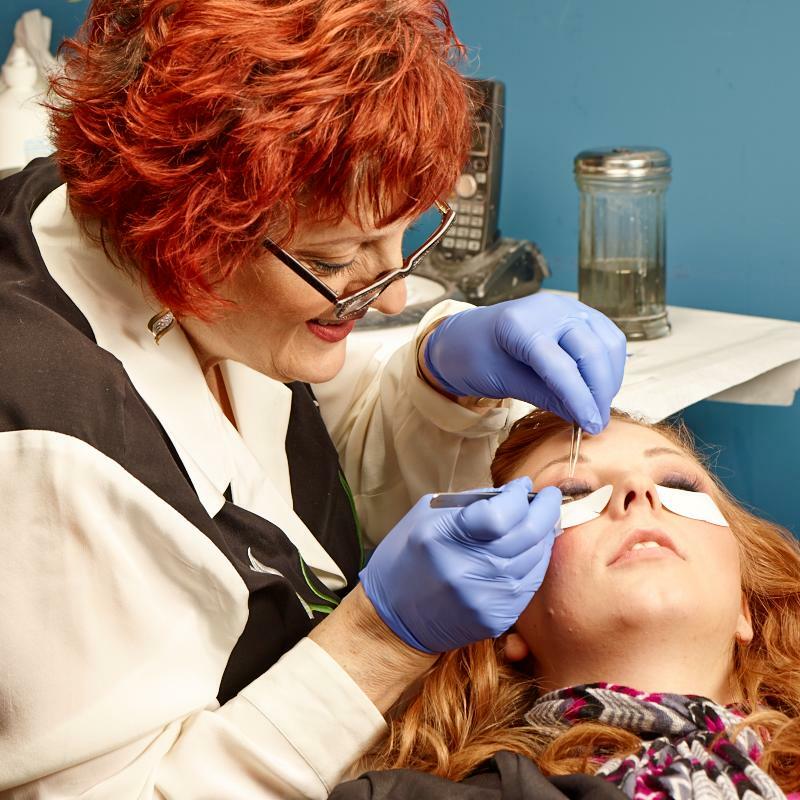 Certified Eyelash Instructor Mary as well as Emily are specialists in the field and guarantee your comfort and satisfaction every time. Application of more individual lashes to new lash growth and balancing length and density of lashes. $10 discount if you are a current artificial nail client. 50 lashes applied per eye in half the time of a full set of lashes. Full application of lashes (approximately 75-100 per eye) to your top lashes. Lower lashes only for $40. If you are having a new set applied after the removal please book the new set appointment a minimum of 30 minuets after the removal to allow your the lashes to dry.